Looking for a way to form data into your FreshBooks account? With 123FormBuilder, you can accept payments, donations and online orders without having to write a single line of code and send the data further on with our FreshBooks integration. Automate the whole process from ordering until invoicing by setting up the integration with just a few clicks! Create a form with payment collection now, integrate FreshBooks and have it live on your site in just a few minutes. You’ll definitely love it! Simplify online payments for your customers to increase conversions and collect more revenue. 123FormBuilder makes it easier to automate the purchase process on your ecommerce website, saving you time and energy. Your clients can pay for subscriptions, submit discount codes, see how much they owe and get notified by email when payment is complete. You can also set markups, customize payment notifications, add advanced pricing formulas, create donation forms and save your customer information in PayPal. 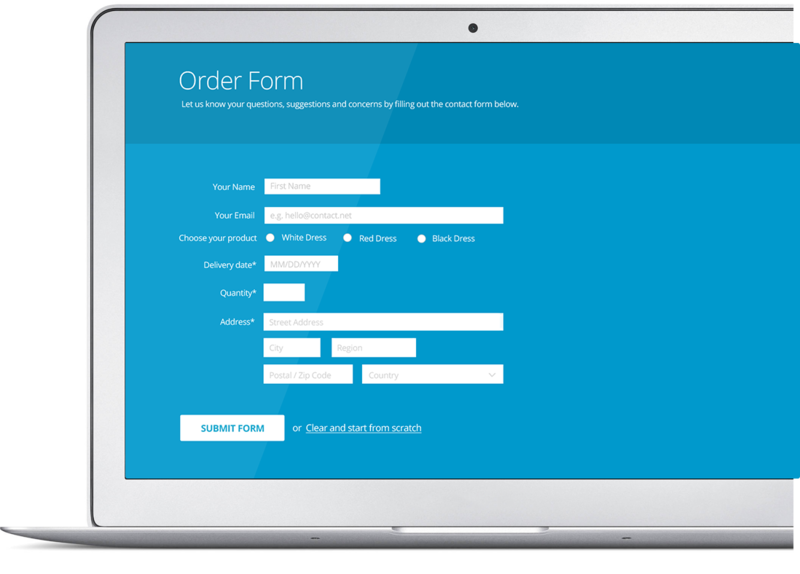 123FormBuilder’s user-friendly interface makes it easy to manage forms. Our efficient integrations can improve your business workflow. Take advantage of the most popular payment processors, including PayPal, Stripe, Authorize.Net and more. Start from scratch or use our gallery of 100+ form templates. With its intuitive interface and powerful capabilities, 123FormBuilder is trusted by over 700,000 businesses in 185 countries.